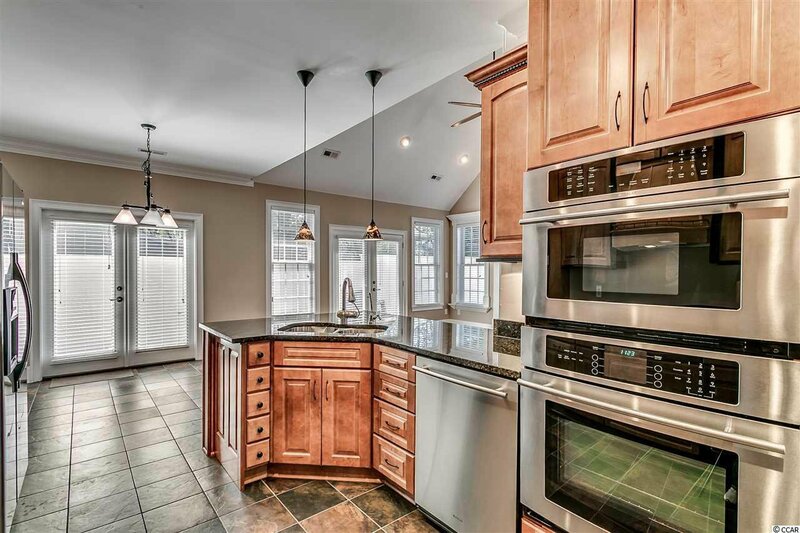 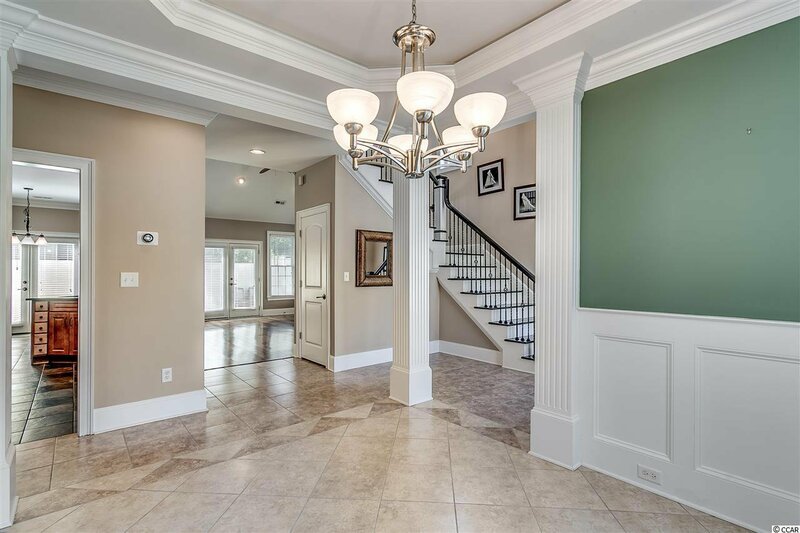 Immaculate and beautifully upgraded George Crickmore custom-built 3 bedrooms, 3.5 bath home with a large finished bonus room. 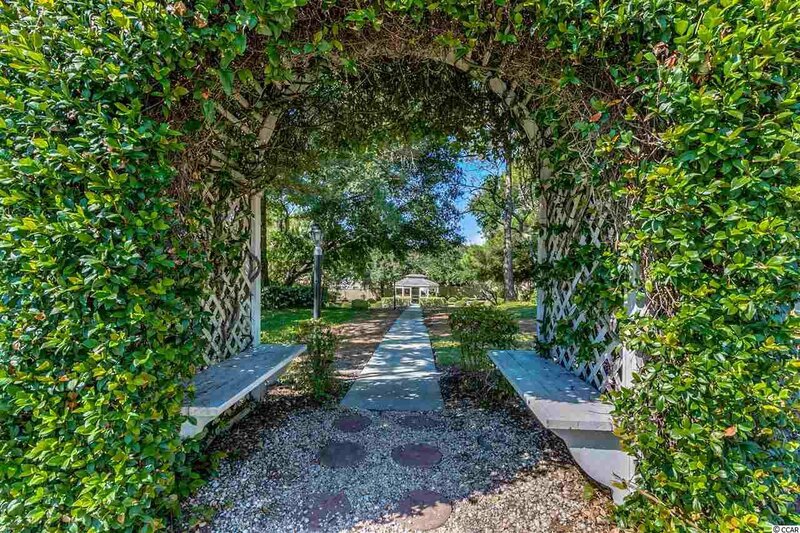 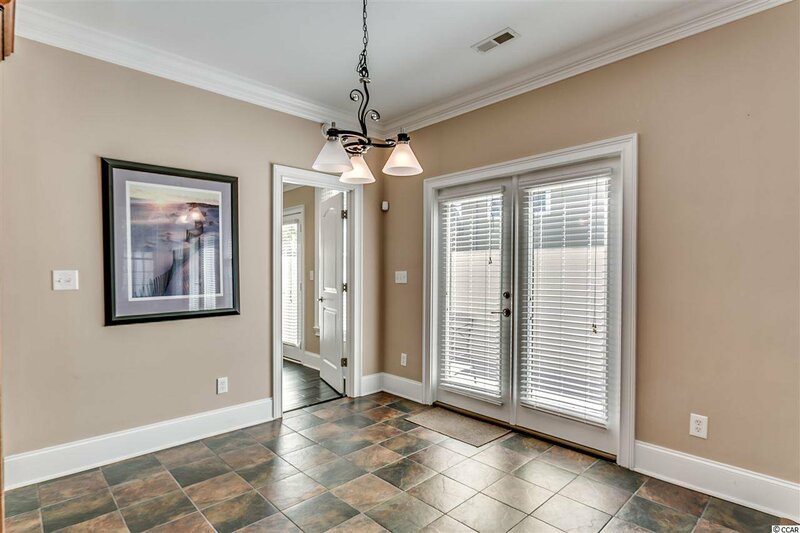 Just a few blocks from the beach, this home is east of Hwy 17 in the gated community of the Heights at Windy Hill. 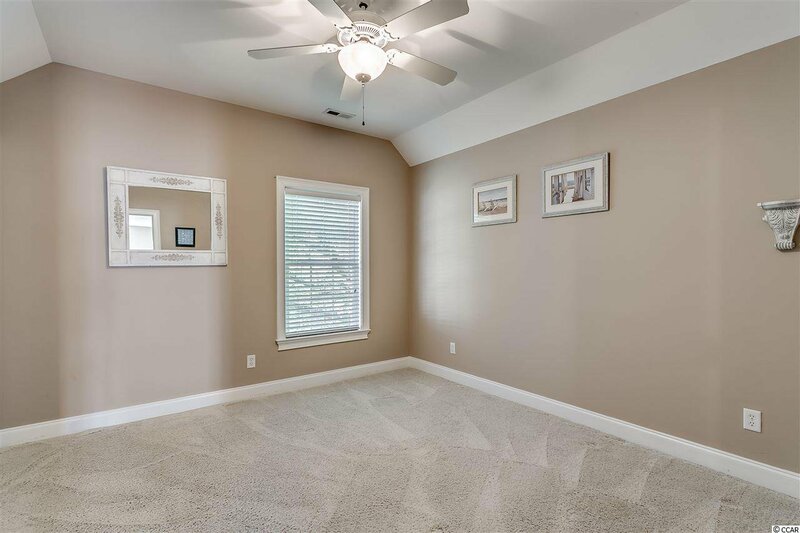 Built in 2006 with sturdy 2”x6” framing, this home has over 2500 heated sqft and an oversized garage that can easily accommodate 2 cars plus a golf cart (almost 600 sqft). 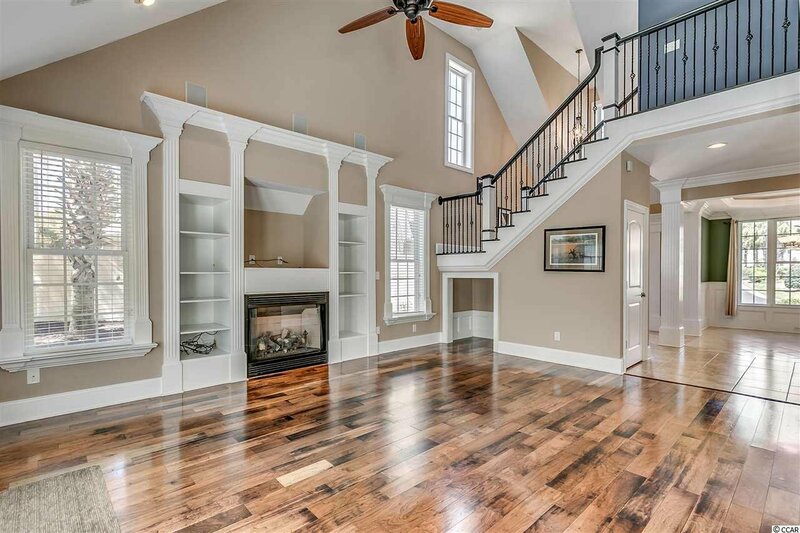 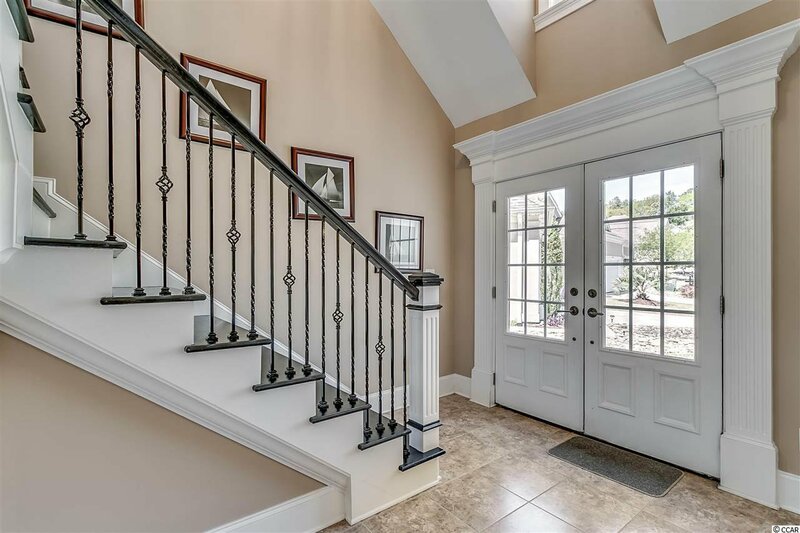 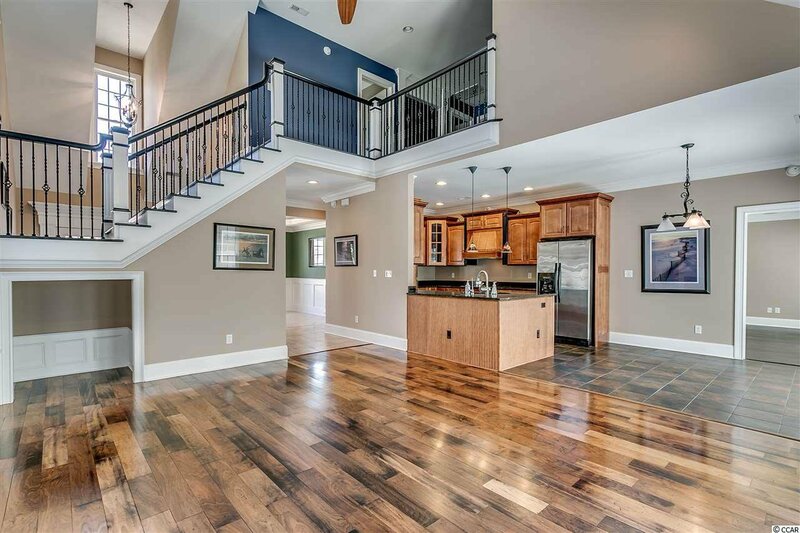 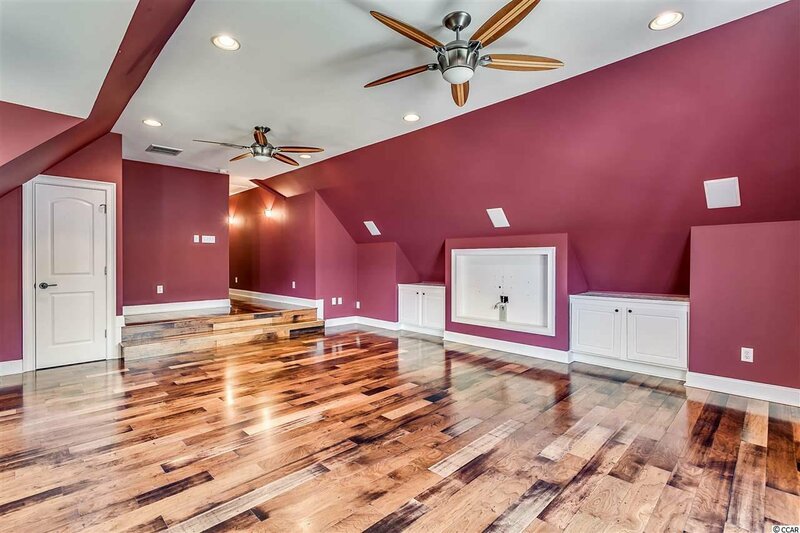 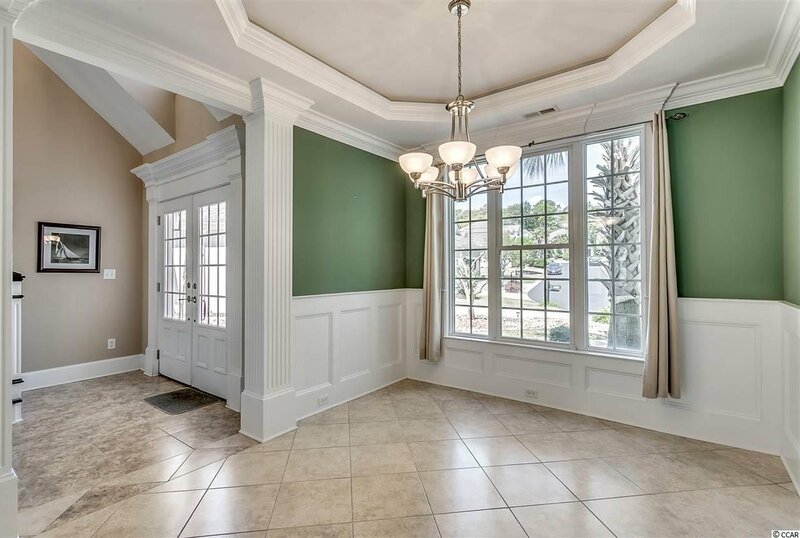 As you enter the foyer, you will immediately see the tall ceilings, open floor plan and abundant sunlight. 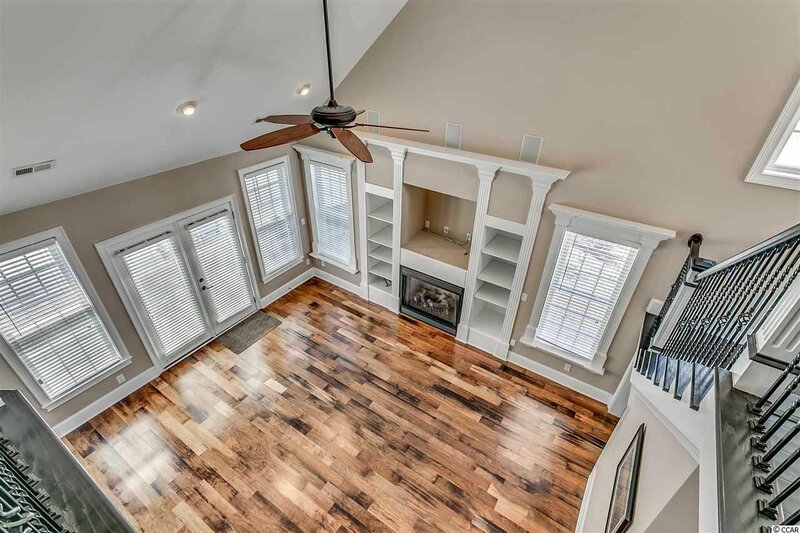 The 18’x15’ Great Room has engineered hardwoods, sound system, gas log fireplace, storage under the stairs, built in cabinets and door to the back patio. 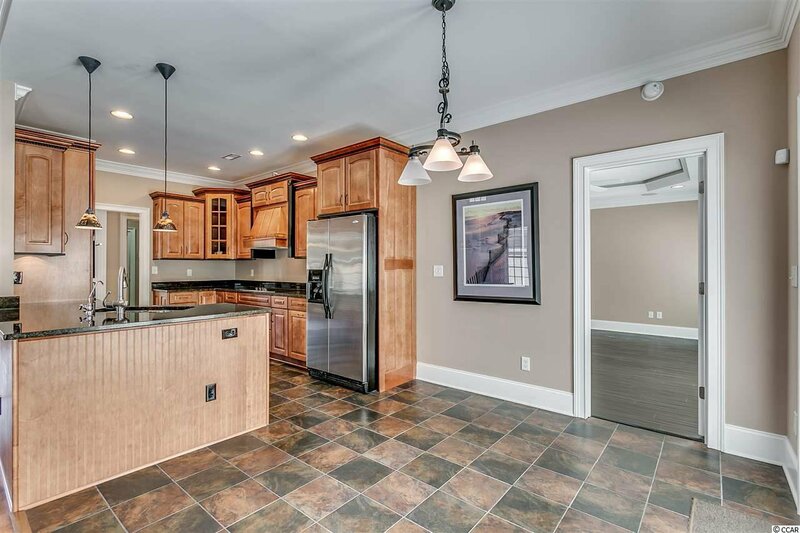 The eat-in kitchen features Jenn-Air stainless steel appliances (refrigerator is Whirlpool), range hood, solid wood cabinets with top molding and undermount lighting, soft-close cabinet drawers, granite countertops with undermount sink, breakfast nook, pendant lighting, pantry and tile floor. 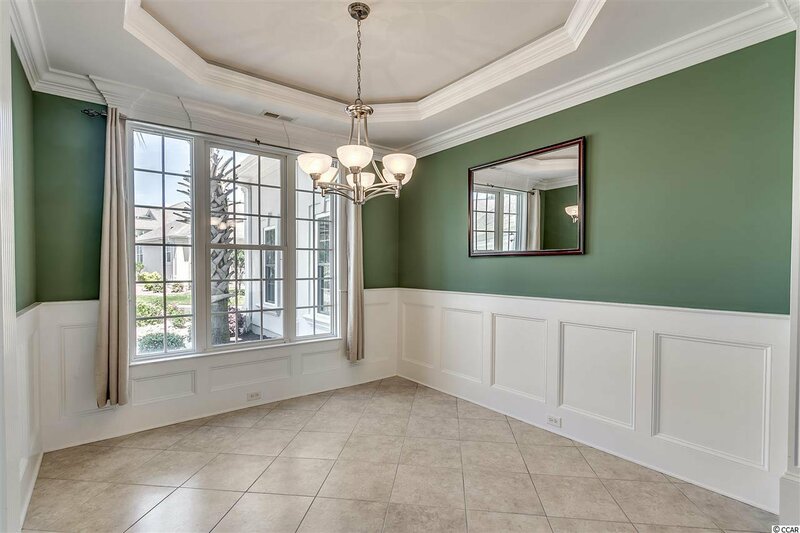 Judges paneling, tray ceiling and diagonal tile floors adorn the 11x10 dining room. 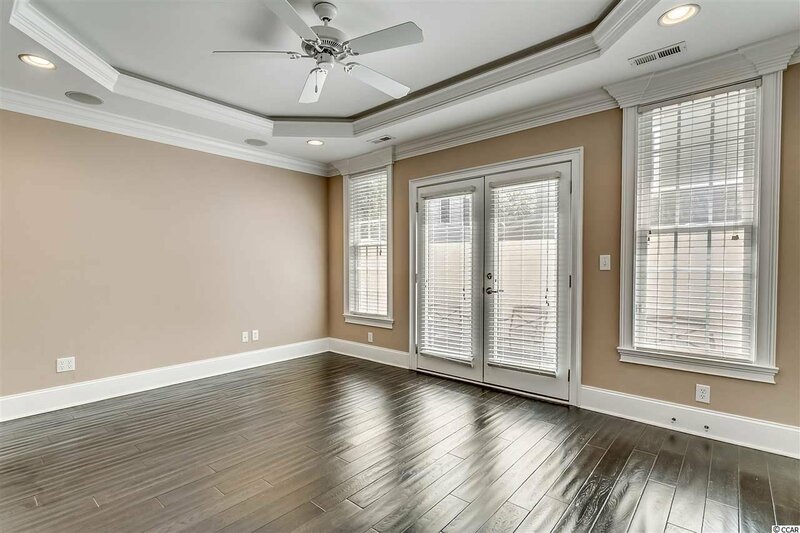 The 1st floor master bedroom has dark engineered hardwoods, tray ceiling with crown molding and ambient lighting, walk-in closet, ceiling fan and door to the back patio. 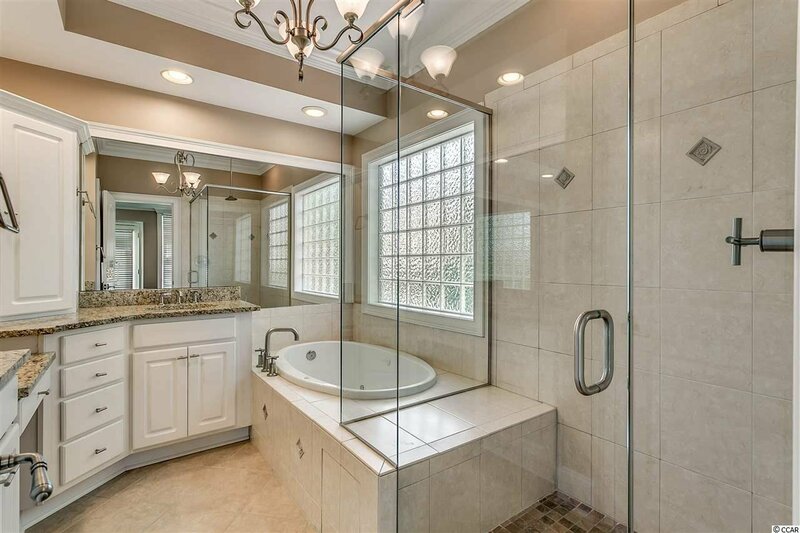 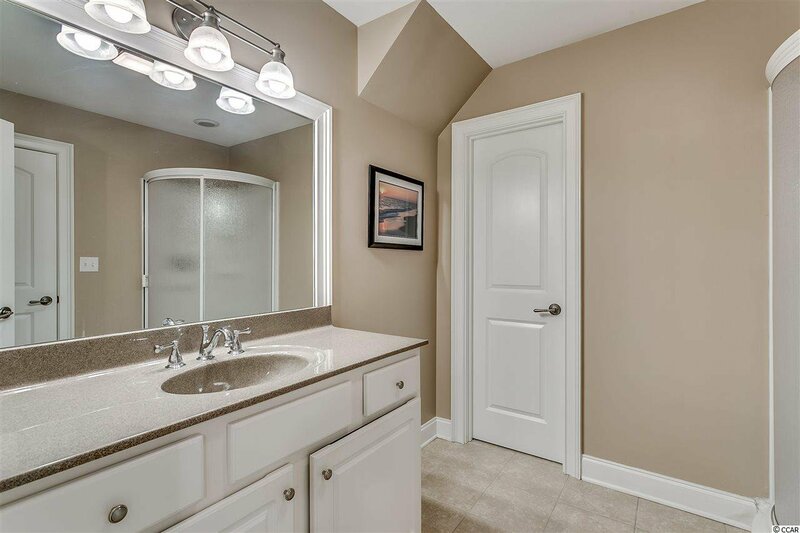 Experience the luxury in the master bathroom with double sinks, vanity, granite countertops, walk-in shower with glass door, jetted tub and water closet. 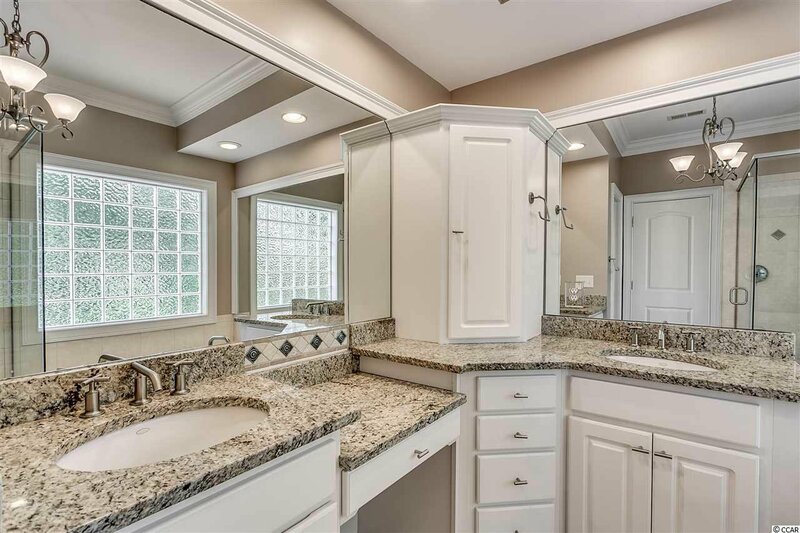 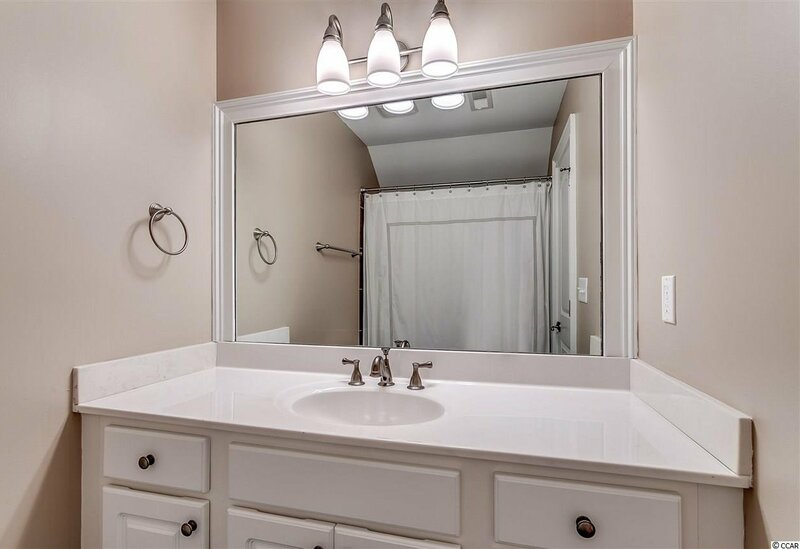 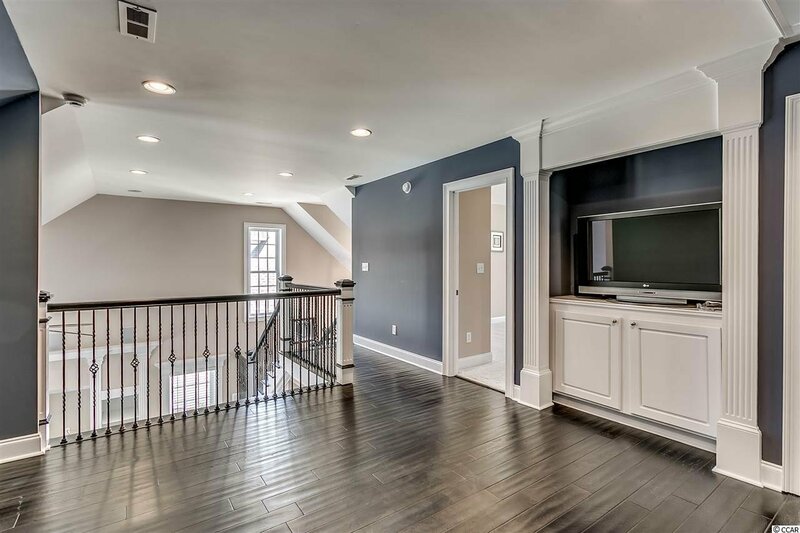 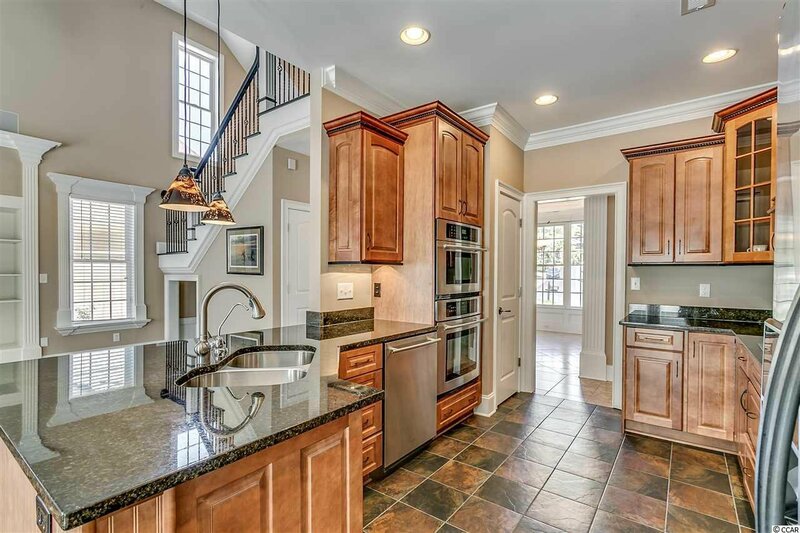 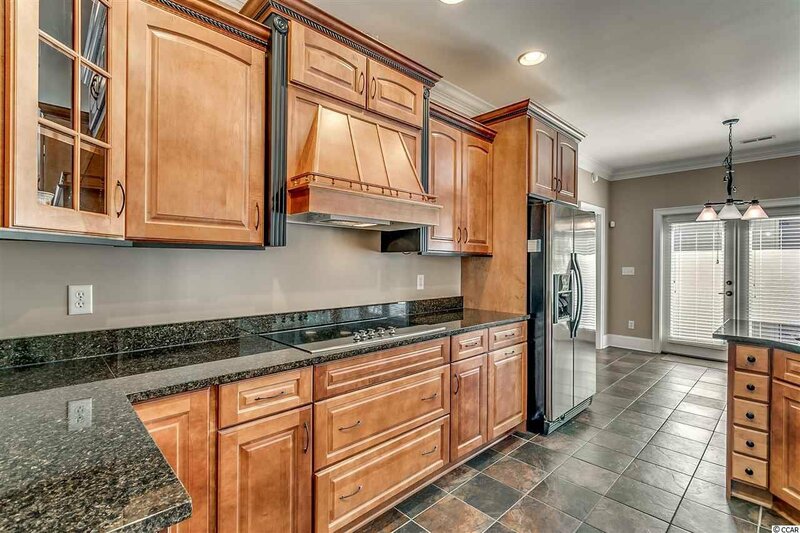 Also on the main level are a powder room with designer vanity and crown molding and the laundry room with side-by-side washer & dryer, cabinets above and tile floor. 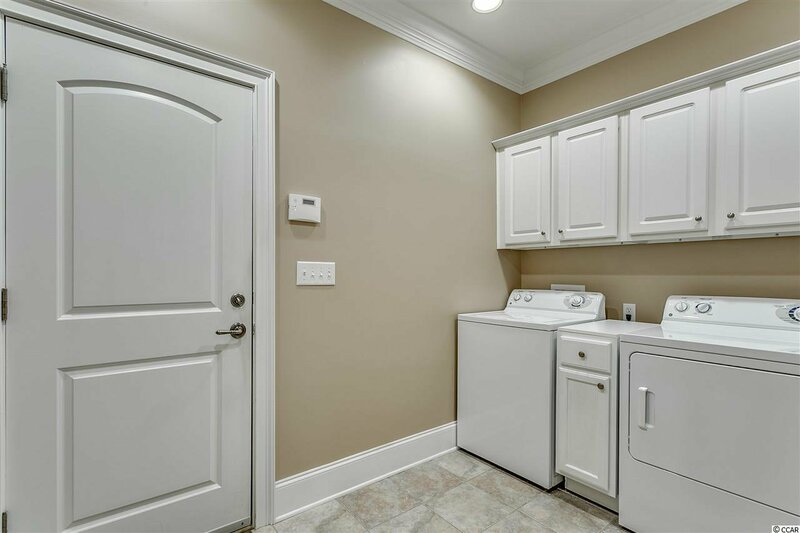 All appliances convey! 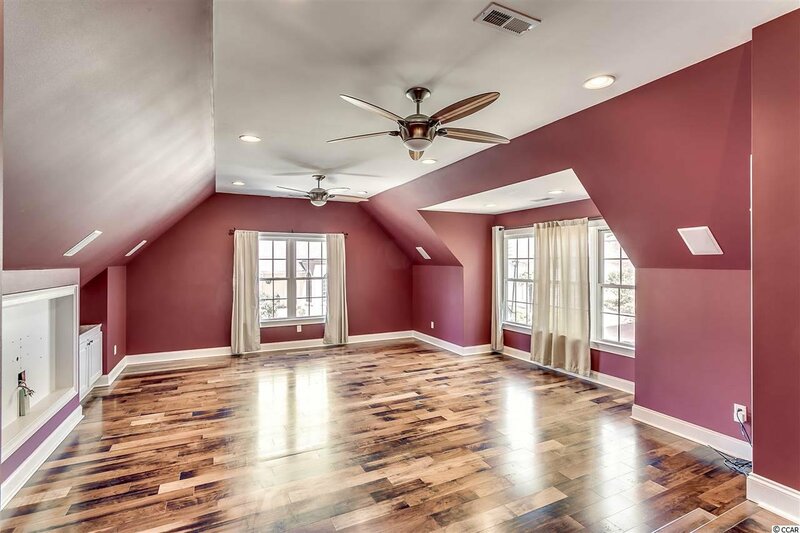 Upstairs you will find an extra sitting area, 2 guest bedrooms and a large 20x17 finished bonus room. 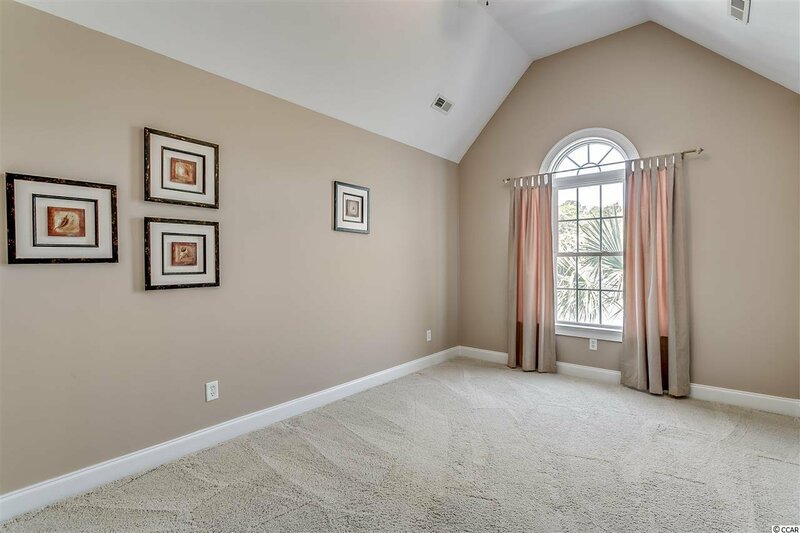 The bedrooms have carpet and ceiling fans. 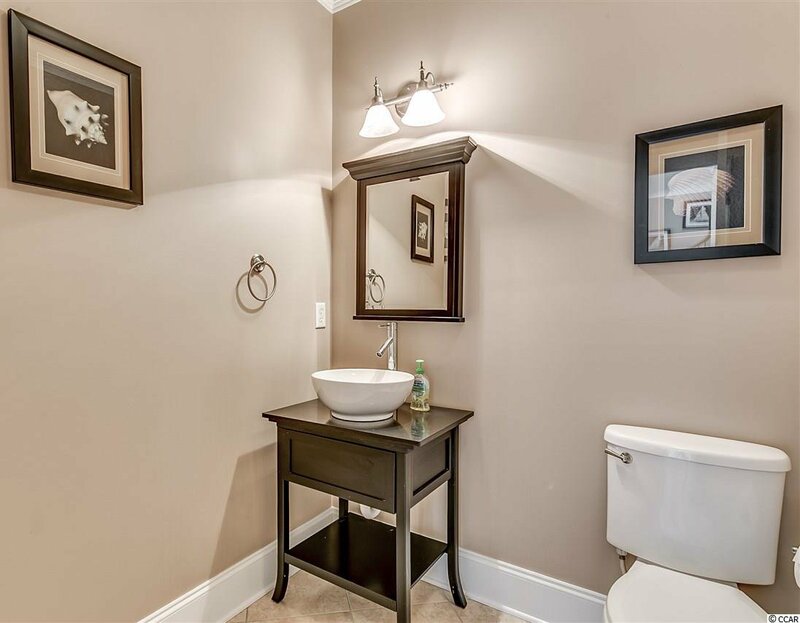 One bedroom has a private bath while the other has a jack-n-jill with the bonus room. 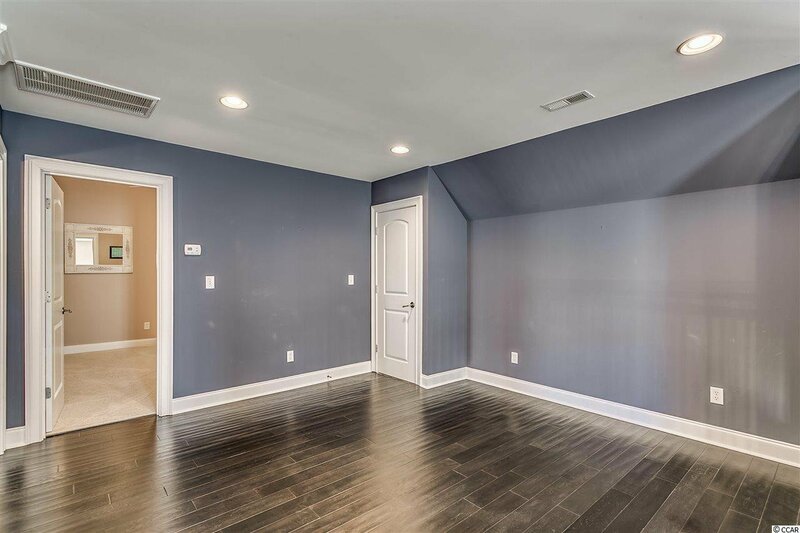 The finished bonus room can easily be a 4th bedroom. 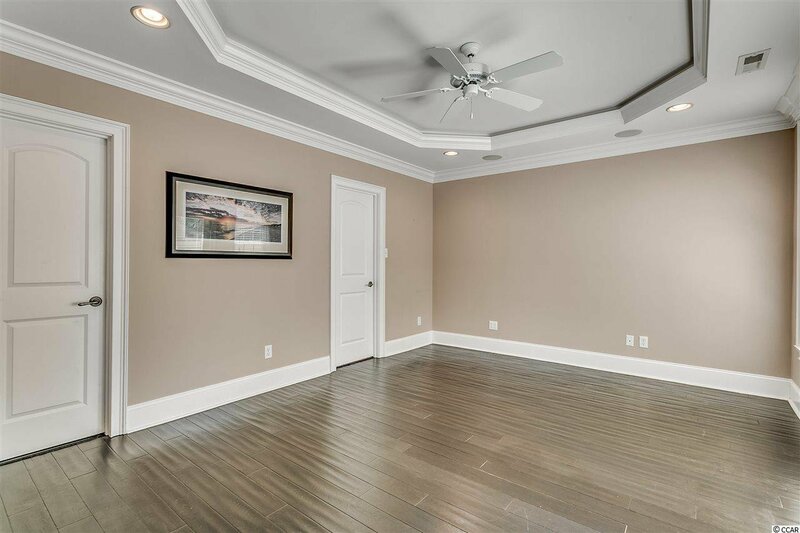 With 5 built-in surround speakers, 2 ceiling fans, built-in cabinetry and engineer hardwood floors, the bonus room can also be a spectacular media room. 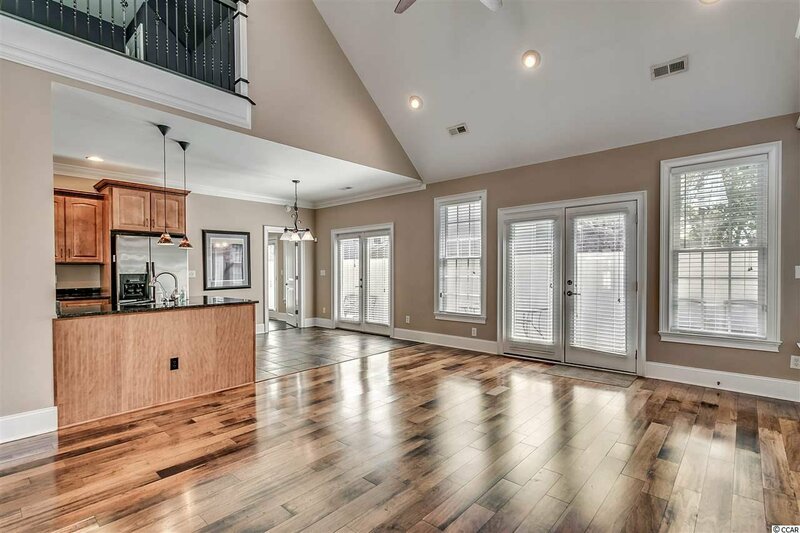 Other notable features of the home are a security system, recently painted interior, updated HVAC system with a Nest thermometer, gutters, and both a walk-in attic storage and pull-down stairs to attic storage. 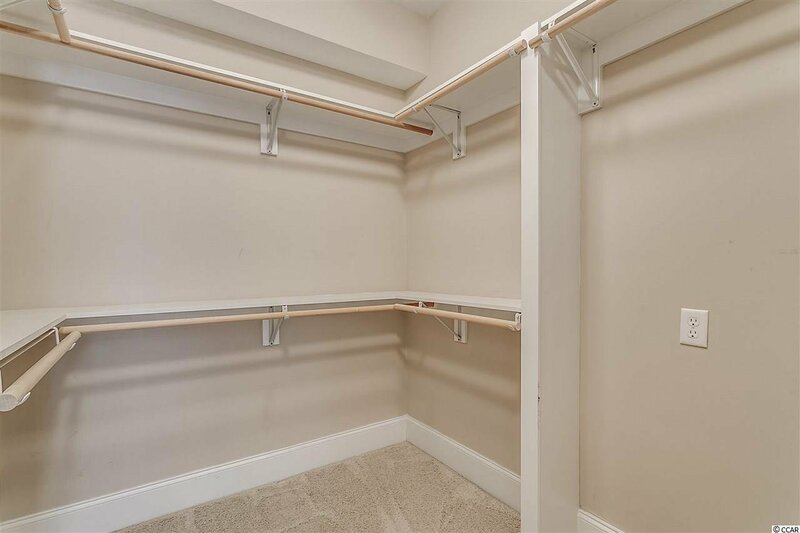 The amazing over-sized finished garage has shelving for storage, wind resistant door, 2 speakers, crown molding and a dedicated HVAC just for the garage. 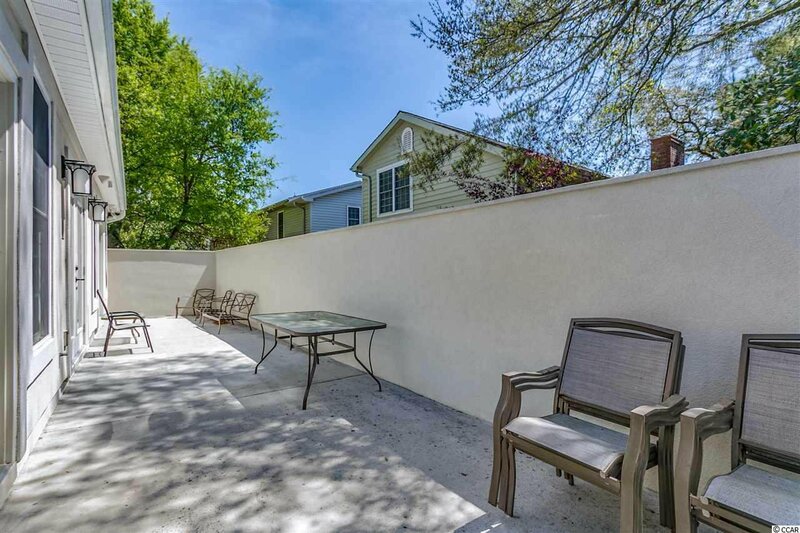 The large back patio and fenced yard are perfect for entertaining, relaxing and pet-living. 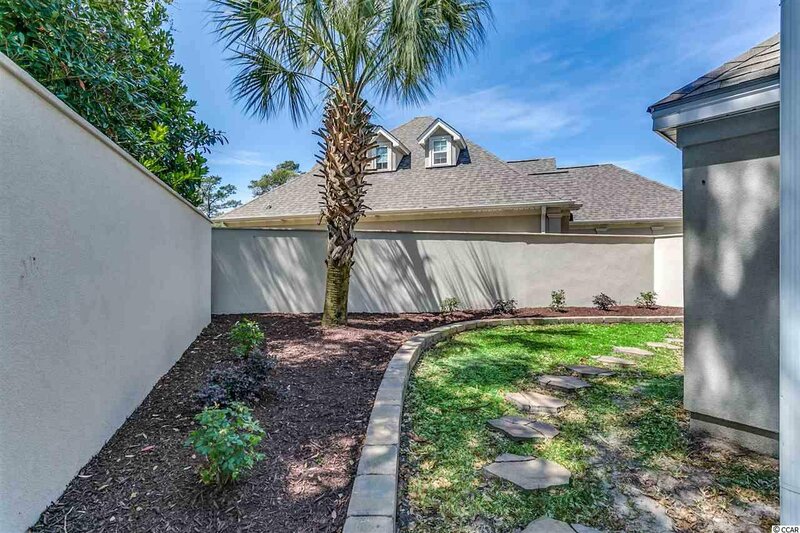 The low maintenance yard is full of palm trees, perennial plants, large river rocks and irrigation system. 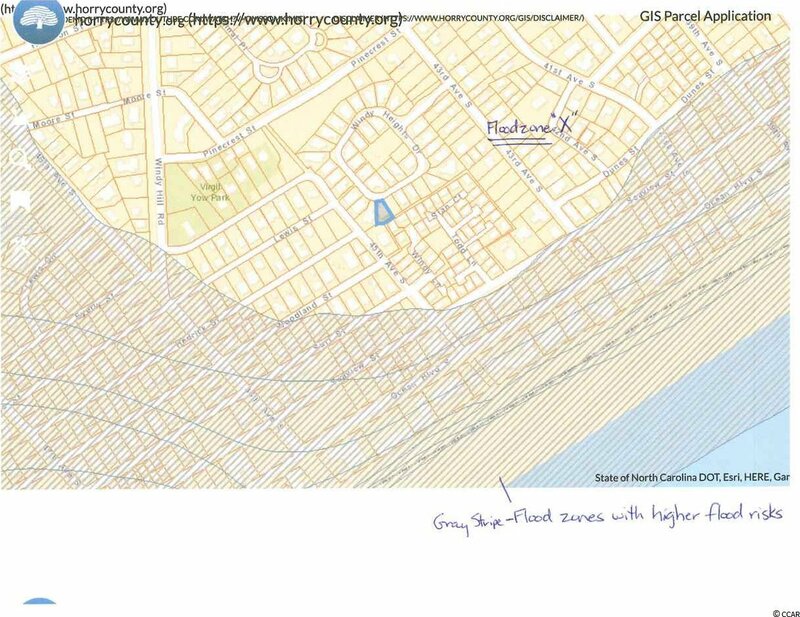 Owners are allowed golf carts, motorcycles and pets. 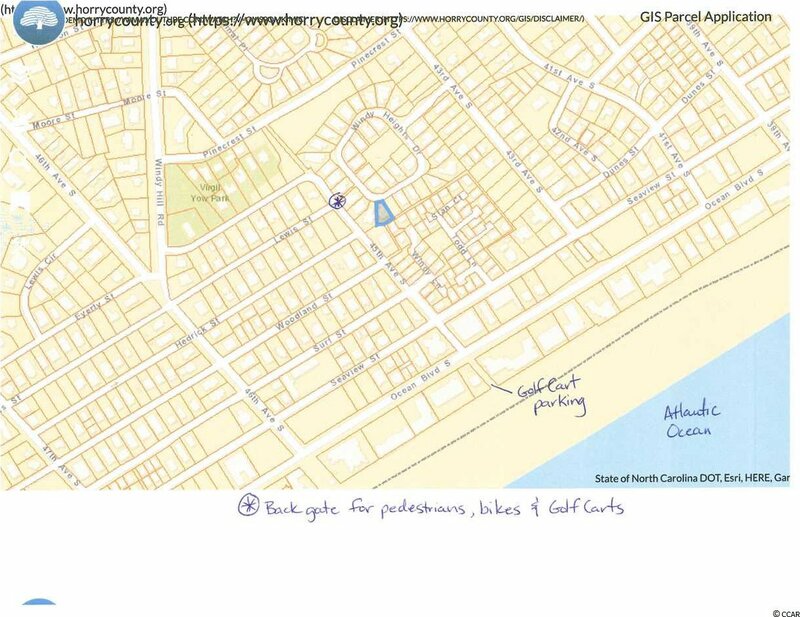 Golf carts can go out back gate on 45th Ave S and go directly to ocean front golf cart parking area. 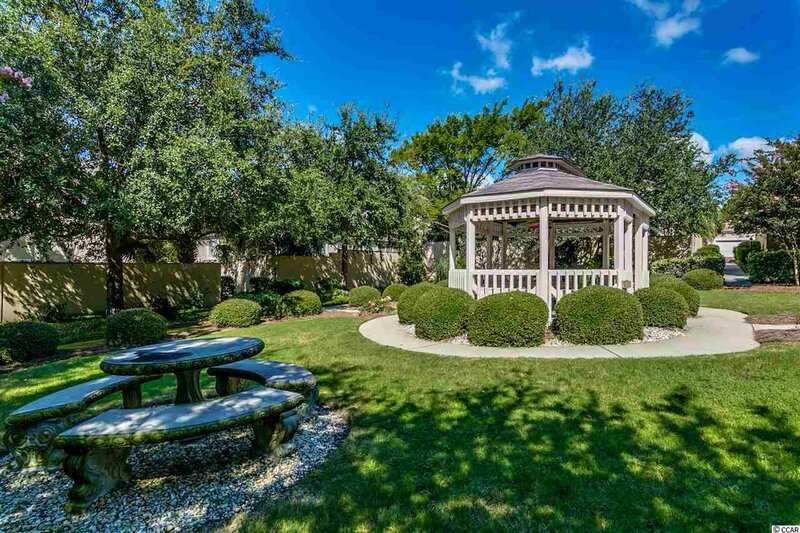 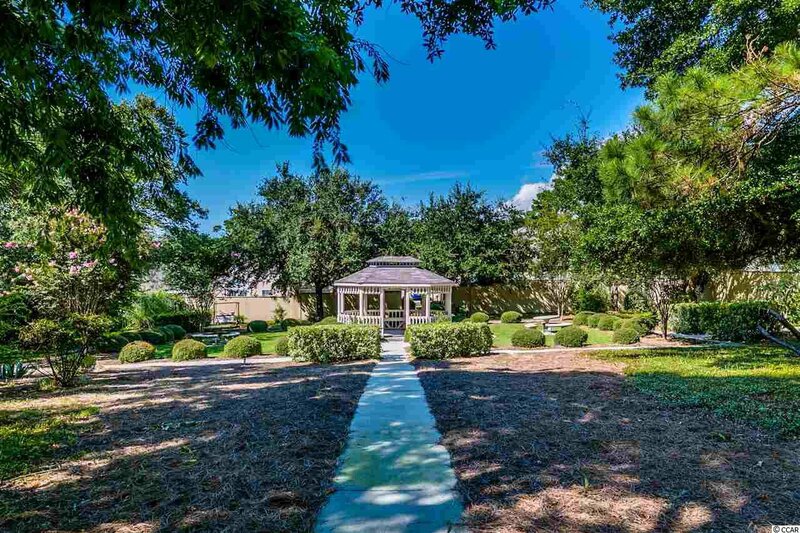 Middle of subdivision has a community gazebo and common area great for picnic and family/friend gatherings. 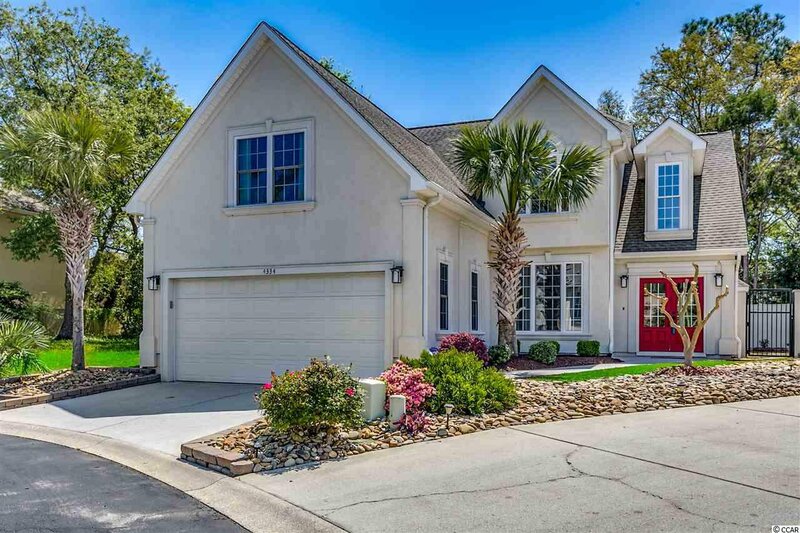 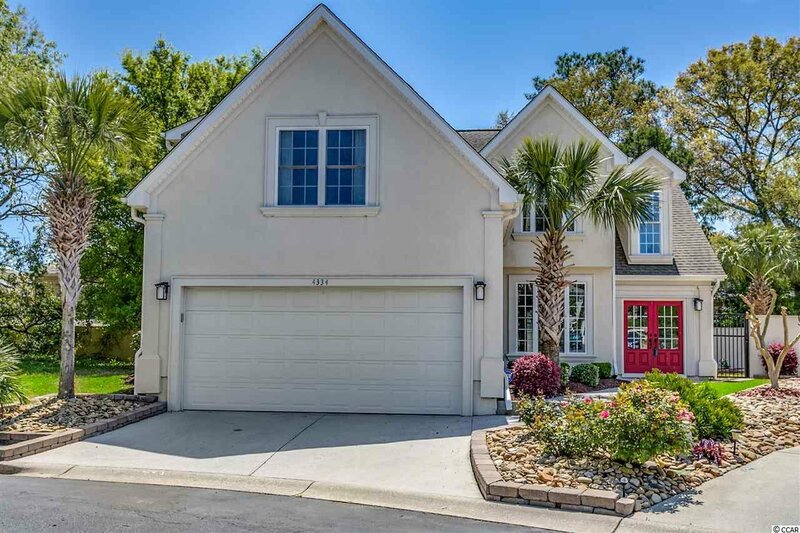 Come see this beautiful beach home just a few blocks from the sandy shores of the Atlantic!